Alif Ovens was founded 25 years ago by Late Mr. Quayum Khan. 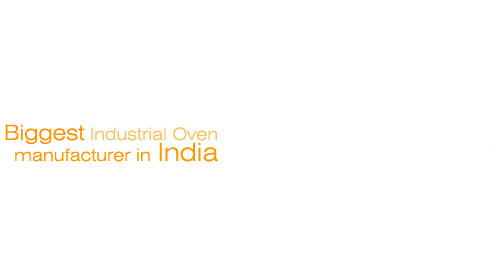 Today Alif Ovens is the biggest quality industrial oven manufacturer in India manufacturing all types and all sizes industrial plant, fully automatic diesel or gas fired (Indirect) travelling ovens for all varieties of quality biscuits/bread/rusk (Toast) baking according to International standards to produce both hard and soft dough variety biscuits to any capacity for a varied variety like sweet, salty, marie, thin arrow root, cream crackers, enzyme crackers and all sorts of cookies etc. The temperature profile for each variety of biscuits, bread, rusk (Toast) etc. is automatically maintained as per requirements. We also manufacture bread making machines, biscuit making machines, biscuit packaging machines, rotary rack oven, tin/metal decorating barrel/pan masala, drying oven etc. Alif Ovens are more efficient & economical in all respects i.e. baking performance, fuel consumption, economically priced & most importantly timely delivery schedule. Due to this our ovens are running all over India and also abroad to countries like Bangladesh, Nepal, Sri Lanka, Madagascar, Nigeria, Mozambique, Tanzania, Saudi Arabia, Sharjah (U.A.E. ), South Africa, Eretia, Ghana, Swaziland, Jordan & Mauritius. The company undertakes Biscuit / Bread Project / Plants on a turnkey basis.